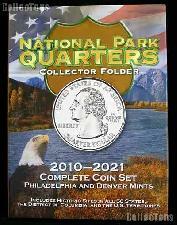 Whitman folders are an affordable, convenient method of storing and displaying your coin collection. Each folder measures 5.75" x 7.75" when closed to easily fit on your bookshelf. 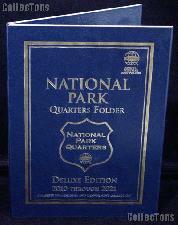 The exterior of the album is grained blue with embossed text. A foldout page gives the history of the series. Whitman folders open flat for all-at-once viewing. 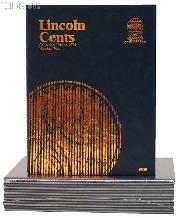 Cover embossed in copper. One port for varieties. 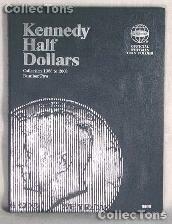 Cover embossed in silver. Three ports for varieties. 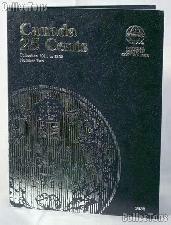 Cover embossed in silver. Labeled through 2002 with 29 unlabelled ports at the end. Complete Lincoln Penny Type Set including new designs for 2009 & 2010. Cover embossed in silver. One unlabeled port. 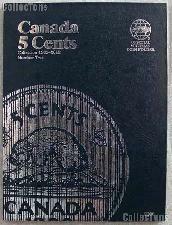 Cover embossed in silver. Ports are labeled through 2002 with 51 unlabeled ports. 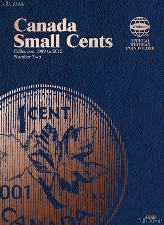 Colorful cover with images of the Westward nickels. 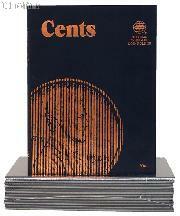 Contains ports for the 5 nickels in the Westward series and 10 extra ports for other U.S. Nickels. 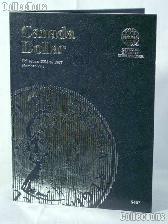 Cover embossed in silver. Labeled through 2002 with 4 unlabeled ports. 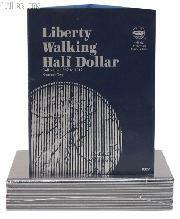 Cover embossed in silver. Labeled through 2007 with 69 unlabeled ports. 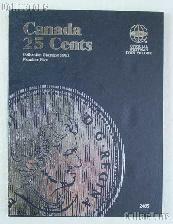 Cover embossed in silver. 6 ports for varieties. 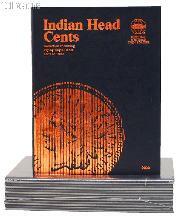 Cover embossed in silver. 3 ports for varieties. 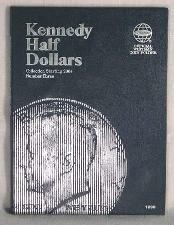 Cover embossed in silver. 2 ports for varieties. 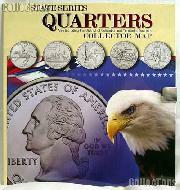 Colorful cover with images of the Delaware Statehood quarter, the American flag, the Statue of Liberty and a bald eagle. 56 labeled ports and 4 unlabeled ports. 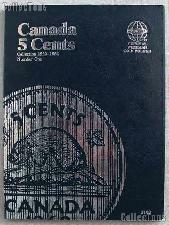 Measures 5.75" x 7.75" inches when closed. 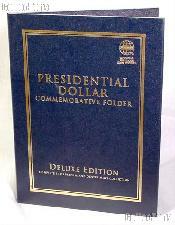 Cover embossed in gold. Larger than the standard folder, measuring 7 x 9.5". 8 unlabeled ports at the end. 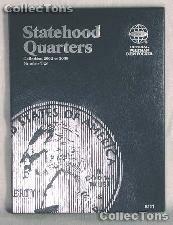 With District of Columbia and U.S. Territorial Quarters. 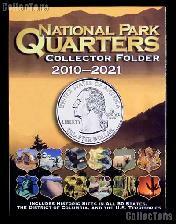 Colorful cover with images of several state quarters. 56 labeled ports and 4 unlabeled ports. Measures 8" x 10" inches when closed. 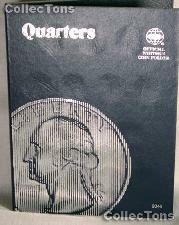 Cover embossed in silver. 52 labeled ports with an extra 8 blank ports. 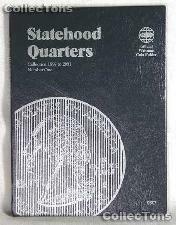 This wonderfully illustrated, three panel state quarter map holds one business strike per state, district and territory. 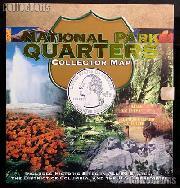 It includes fun facts about each state, district and territory. When closed the folder measures 12-1/2" x 13-1/2". 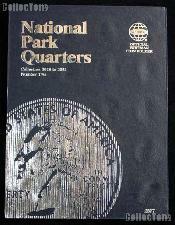 This wonderfully illustrated, two panel national parks quarter map holds one business strike per state, district and territory. It includes fun facts about each park. When closed the folder measures 12-1/2" x 13-1/2". 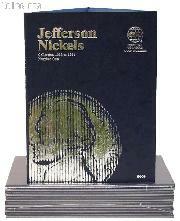 Cover embossed in silver. 1 unlabeled port. 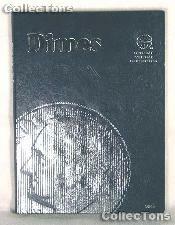 Cover embossed in silver. 8 ports forr varieties. 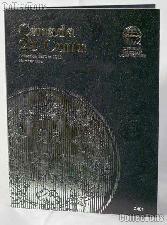 Cover embossed in silver. Labeled through 2007 with 28 unlabeled ports. 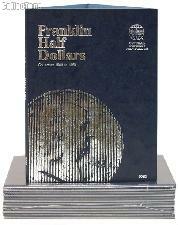 Cover embossed in silver. 6 unlabeled Eisenhower ports for varieties. 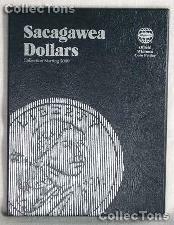 Cover embossed in silver. Ports labeled through 2005 with 24 unlabeled ports. 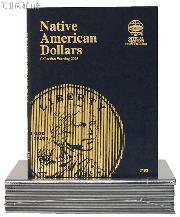 Cover embossed in gold. Includes 8 unlabeled ports. Cover embossed in gold. Includes 4 unlabeled ports. 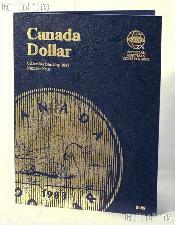 Cover embossed in gold. Larger than the standard folder, measuring 7 x 9.5". 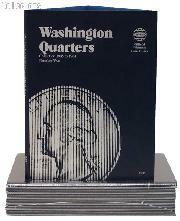 Cover displays the Lincoln Memorial, the White House, Mount Rushmore and a painting of George Washington. 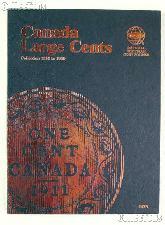 Larger than the standard folders, measuring 7 x 9.5". Includes 4 unlabeled ports. 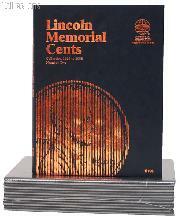 Cover displays the Lincoln Memorial, the White House, Mount Rushmore and a painting of George Washington. 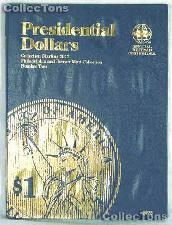 Larger than the standard folders, measuring 7 x 9.5". Includes 8 unlabeled ports. 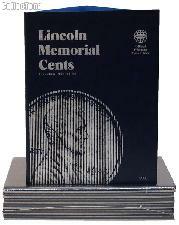 Cover displays the Lincoln Memorial, the White House, Mount Rushmore and a painting of George Washington. 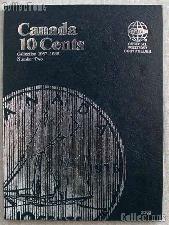 Larger than the standard folders, measuring 7 x 9.5". Includes 7 unlabeled ports. 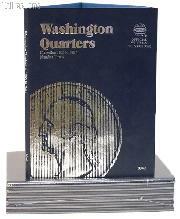 Cover displays the Lincoln Memorial, the White House, Mount Rushmore and a painting of George Washington. 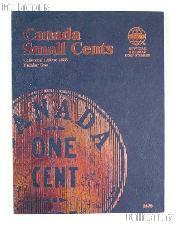 Larger than the standard folders, measuring 11.25 x 10". Includes 3 unlabeled ports. 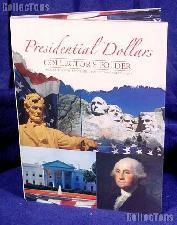 Cover displays the Lincoln Memorial, the White House, Mount Rushmore and a painting of George Washington. Much larger than the standard folders, measuring 11.5 x 16". 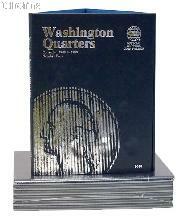 Equipped with brass ring holes, for easy wall display. Includes 7 unlabeled ports. 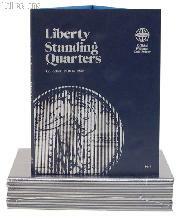 Cover embossed in silver. 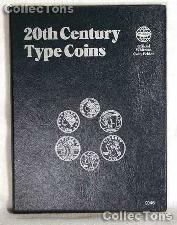 It also includes space for a birth year type set. 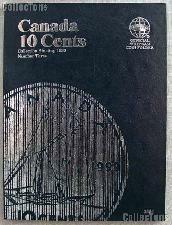 The interior features data on the 20th Century Type Set. Cover embossed in copper. Ports labelled through 2010 with 4 unlabeled ports. 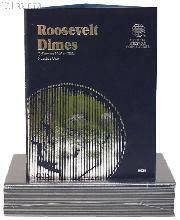 Cover embossed in silver. Includes 1 unlabeled port. 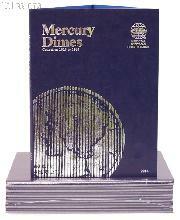 Cover embossed in silver. Includes 4 unlabeled ports for varieties. Cover embossed in silver. Labeled through 2009. Cover embossed in silver. Includes 9 unlabeled ports. Cover embossed in silver. Includes 4 unlabeled ports. Cover embossed in silver. Includes 3 unlabeled ports. 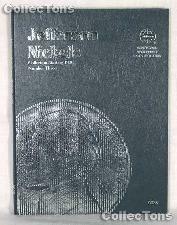 Cover embossed in silver. Labeled through 2008 with 4 unlabeled ports.